The liposterolic components of Serenoa repens (saw palmetto) stand out as providing well-researched support for normal prostate function, justifying its popularity in European medical practices. 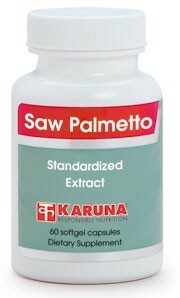 The balance of intraprostatic hormone activity and growth regulation is maintained by saw palmetto. Controlled clinical trial results include supporting optimal urinary flow, complete bladder emptying, and uninterrupted nighttime sleep. With an enviable safety and side effect profile, saw palmetto remains a cornerstone among natural agents used to support male genitourinary health.